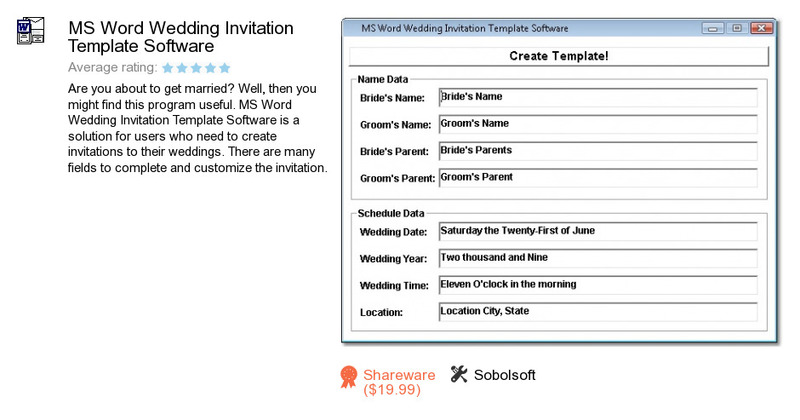 MS Word Wedding Invitation Template Software is a software product developed by Sobolsoft. We know of versions 7.0, 1.0. Version 7.0 is available for download at our site. MS Word Wedding Invitation Template Software installation file has a size of 17,311,042 bytes. Sobolsoft also publishes JPG To SWF Converter Software and Automatically Log Internet Connection Status Software.